This week has seen Maxwell dance, roll and jump around the house. It seems he doesn't enjoy walking any more and every footstep he takes now has to be a little adventure for him. Maxwell adores music and now has a radio in his playroom. I often catch him dancing along to songs and shaking his head around. Maxwell has learnt to roll around and when he gets excited he loves to roly poly across the floor. Over the past week we have seen Maxwell starting to misbehave in the late afternoon. The only thing I can really put it down to is tiredness as he is generally good for the rest of the day. Maxwell stopped having naps many months ago and I am thinking about giving him a short nap in the afternoon. If I do give him a short nap, I am scared it will mess his bedtime routine up and I will go back to having sleepless nights. I will see how we get on this week and then make my decision. Maxwell can still be quite fussy about what he eats however this week Maxwell has tried some different things. Maxwell has tried sausage, ketchup, mince meat in a bolognaise sauce and egg which is brilliant. Please note they were not all mixed together but separate. Maxwell still adores eating fruit, veg and salad which is also great. He also still eats to hot meals a day but sometimes enjoys a snacky lunch of crackers, salad and other bits and bobs. Over the last week Maxwell has enjoyed sitting down and having some quiet time away from the TV. 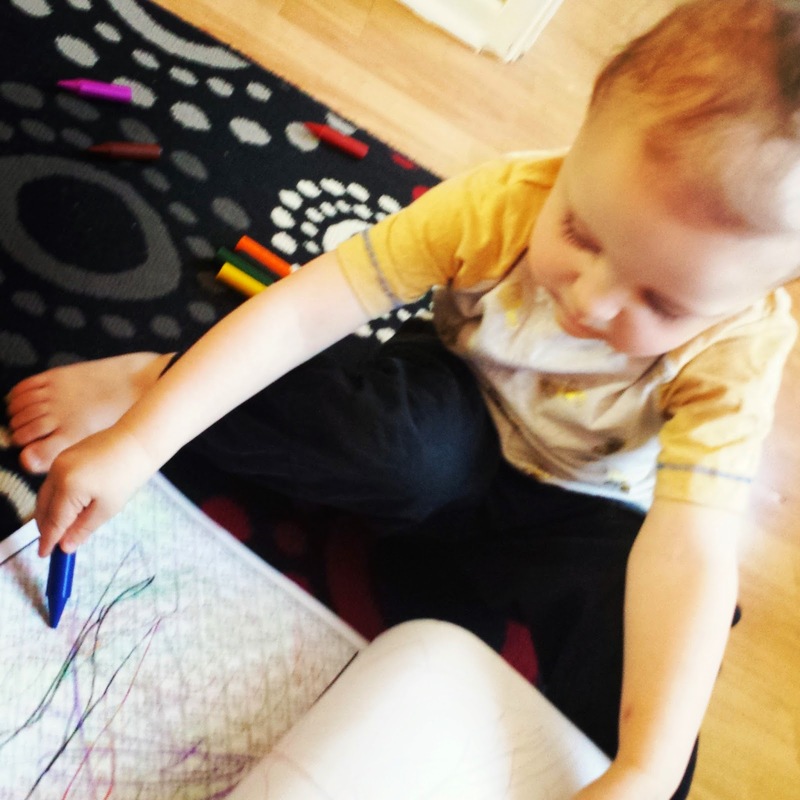 Maxwell has been drawing and colouring in his colouring book which is full of patterns and plain pages so Maxwell is able to get creative. Maxwell used to hate doing sit down activities but I have been pleasantly surprised at the amount of time that he has been spending doing his drawing and coloring activities. It is lovely to see Maxwell's skills improving. I think Maxwell is now at the age where he is ready to start potty training. As soon as we come back off holiday I think we will start encouraging Max to potty train. 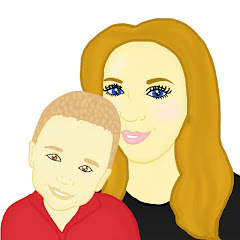 I have started to prepare bits and pieces and this week I am going to look into getting a reward system into place which I hope he will understand. I am very scared about the transition at the present moment however I know it is probably a equally scary time for him and I need to show him as much support as I possibly can. Look out for updates on his potty training story. Good luck with the potty training! It is something we are thinking to start here soon too! Let me know how you progress with the pottty training, Flynn is a nightmare!! This is such a great idea for a post, I'm always forgetting my children's little milestones.